SUCCESS continues to find its way to Cresswell Park, with Claremont-Nedlands claiming a third trophy in two weeks, winning the Club Championship for the fourth time in its history. 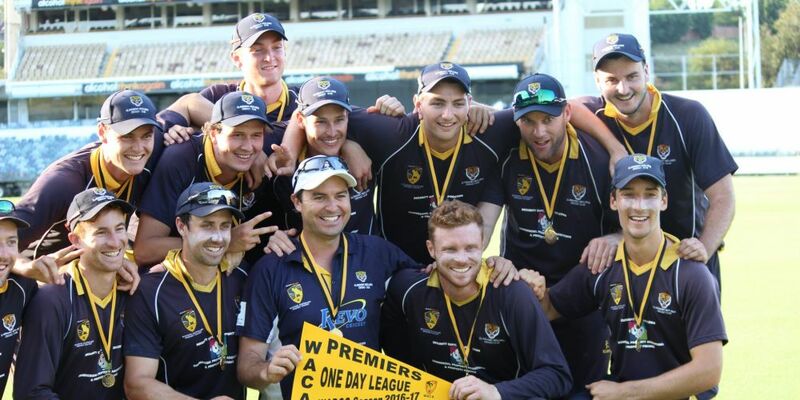 The past five seasons have transformed the Tigers into a Premier Cricket powerhouse, with three club championships in that time, following the 2012-13 and 2013-14 triumphs. First grade coach Tim Macdonald said it was morale boosting for the club. “It is a great indicator of where the club is at and how we are performing across all four grades,” he said. The Tigers have collected back-to-back One Day League flags, a colts premiership and a T20 title over the past three seasons, along with qualifying for countless finals. “The amount of experience in playing and coaching that has been around the club in the past five years has been a big reason behind success,” Macdonald said. “It has really helped to develop the young guys, coupled with some of the ex-first grade players hanging around. Claremont-Nedlands has been the dominant side in this year’s first grade competition, winning the Kevin Sullivan Silver Cup (minor premiership) and the One Day League final, with a number of factors elevating the Tigers to a new level this season. While it is clear the Tigers are on top of their game, one premiership still eludes the club. The two-day flag has been the goal over the past few seasons, and now after a number of disappointing finals campaigns, including losing a gripping grand final to Wanneroo in 2012-13, the side is primed for a premiership assault. “This (two-day flag) is what we have been talking about since Wanneroo beat us at the WACA Ground,” he said. “This is what every single one of the players wants.